The new year is bringing more pay raises for truck drivers. C.R. England Inc. announced that it is boosting pay for solo and team drivers and driver trainers for the second time in eight months, effective Jan. 31. 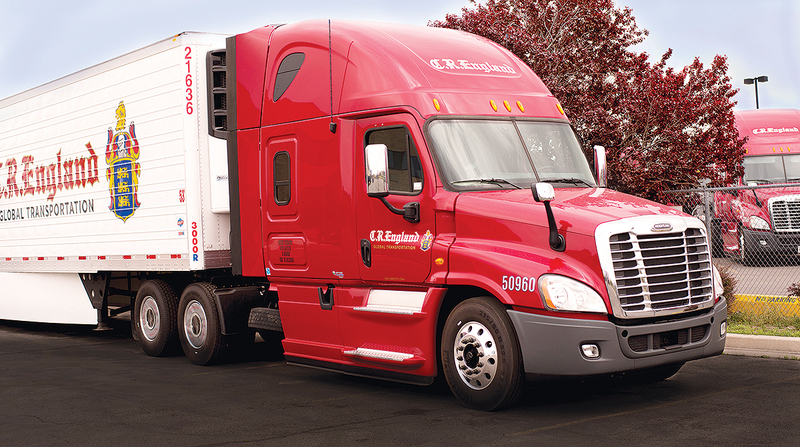 Chad England, CEO of the Salt Lake City-based refrigerated truckload carrier, said the company is investing more than $30 million annually in additional compensation for drivers as part of an effort to improve retention and attract more experienced drivers. England said the pay increases apply to all linehaul drivers, with solo drivers receiving an increase of between 2 and 7 cents a mile, team drivers getting a boost of at least 6 cents a mile and driver trainees seeing an increase in minimum guaranteed pay from $500 to $560 per week, plus a $300 bonus after their first delivery run. C.R. England ranks No. 25 on the Transport Topics Top 100 list of the largest for-hire companies in North America. Cargo Transporters Inc., a dry van truckload carrier based in Claremont, N.C., also announced a pay increase for its over-the-road and regional truck drivers. The company is increasing pay for solo drivers by 2 cents a mile, and team and regional drivers will get an increase of 1 cent a mile for all dispatched miles. Compensation for solo drivers averaged $60,000 in 2018 with more than 25% of drivers earning at least $67,000, the company reported.